One expression per day: develop a learning habit by learning a new Spanish idiom daily. A wide range of figurative expressions and colloquial phrases: understand the meanings as well as the literal translations, and see how the expressions are used. Weekly recap: a weekly quiz to make the expressions stick. 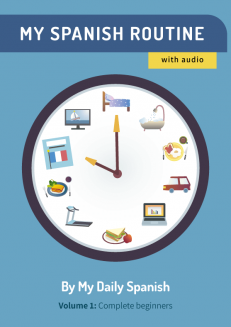 Free audio: pronounce the expressions the right way with the free MP3. Idioms are among the aspects of language that distinguish a native speaker from a non-native. They add character and depth to your conversations. But idioms are not that easy to learn and also add a lot of confusion to an otherwise simple conversation. How does one learn Spanish idioms easily? By learning Spanish idioms daily, you will be able to easily integrate them into your daily lessons. You will be able to fully remember the phrase, how it’s pronounced, what it literally means in English, as well as the actual translation. 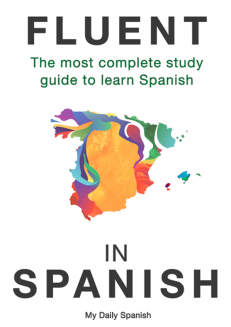 Recommended for Spanish-learners of all levels, this book is the perfect supplement to your Spanish language lessons. 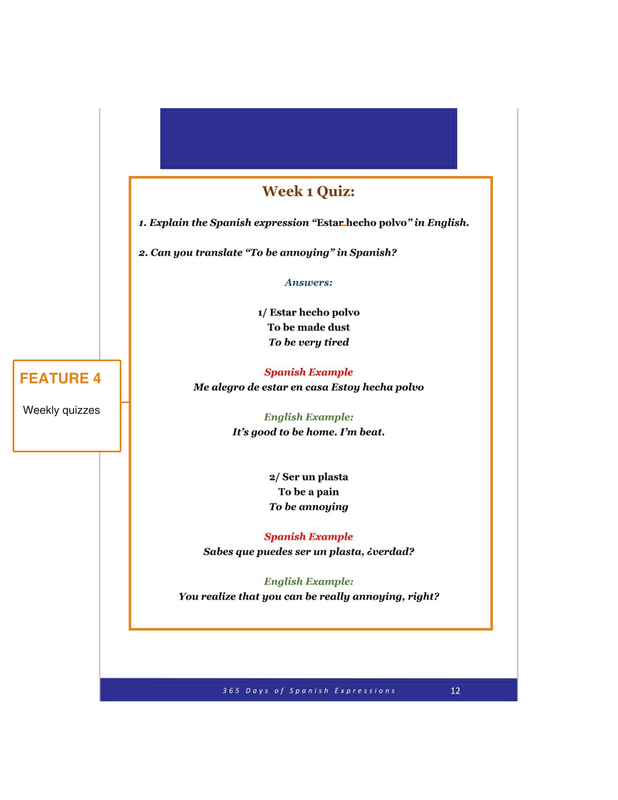 You’ll get a daily dose of Spanish figurative speech, colloquial expressions, and idioms. 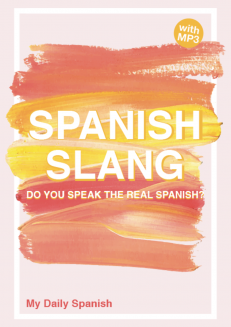 From the delightful to the downright absurd, you’ll learn their meanings and literal translations, and be able to use them to add a natural flair to your Spanish. The additional audio ensures that you can speak it properly, too! ​One expression per day: develop a learning habit by learning a new Spanish idiom daily. 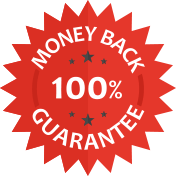 ​A wide range of figurative expressions and colloquial phrases: understand the meanings as well as the literal translations, and see how the expressions are used. 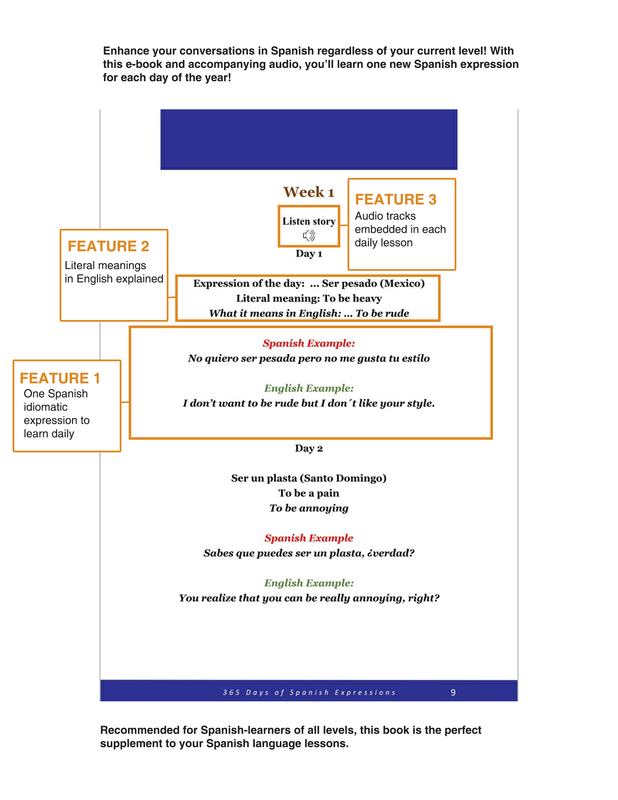 ​Free audio: pronounce the expressions the right way with the free MP3. 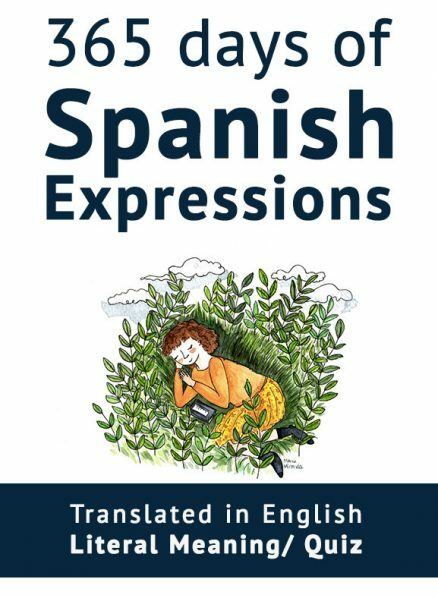 Expressions are not only fun to learn in small doses every day; they also provide interesting insights into how the Spanish think. 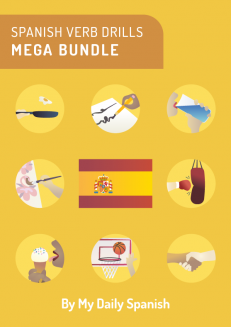 By understanding Spanish expressions and their corresponding translations, you’ll gain a clearer grasp of the culture and point of view of the Spanish-speaking world. Each expression is broken down for you with its literal translation in English, what it actually means, and an example of how it can be used in a sentence. This short e-book will add fun and humor to your daily learning and introduce you to phrases and expressions you seldom find in language courses and traditional books. 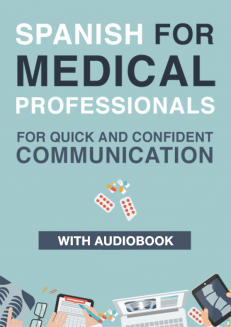 This book is the only one of its kind that comes with audio files to give your pronunciation a boost. You can listen to the audio files and follow along to practice proper pronunciation. The MP3 files are divided into weekly sections, allowing you to listen and practice on your own wherever and whenever you like: in your car, during a jog, on your commute to and from work, or while going about your daily chores. 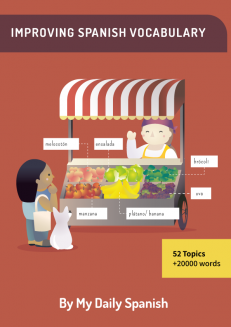 This e-book is designed for you to learn a new expression every day of the year. You can devour this e-book in a few hours if you prefer, but if you can develop a learning habit by learning an expression each day, it may be much more beneficial in the long run. This book can be your first step towards the creation of a lasting learning habit. At the end of each chapter/week, you will find a recap and a quiz to truly make the expressions stick. 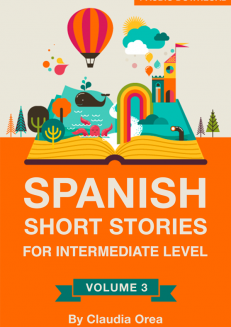 Memorizing Spanish idioms and expressions has never been this easy and fun! ...this e-book is for you. 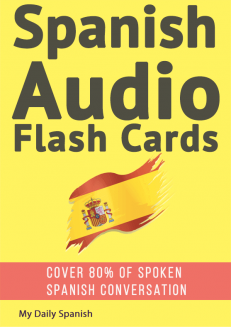 Get your copy today and start your 365 Days of Learning Spanish Expressions! Spanish for Medical Professionals Spanish Slang: Do You Speak the Real Spanish?